I’m glad that so many of you requested the first supplemental issue of Roleplaying Tips Weekly about “What To Do When Your Players Aren’t Taking It Seriously”. This week I’ll be adding both supplemental issues as web pages to the Roleplaying Tips web site for those of you who cannot request autoresponders. Check Wednesday on the home page in the ‘What’s New’ section for the links. I have information about a gaming convention that’s taking place in February 2001 in Mission, BC. As most of you are not from BC, Canada I won’t trouble you with the details. I hope you enjoy this week’s issue. It’s more theory than specifics. I try to keep the issues as practical as possible–real stuff you can use right after reading them, such as the villains tips series–but I’ll include the odd meta game theory tips, such as this issue’s, once in awhile. Let me know if you have an opinion about theory articles vs. practical articles, content-wise or frequency wise. I believe the best reward in roleplaying is having fun and enjoying the roleplaying experience. It doesn’t matter whether you are playing a hack ‘n slash dungeon crawl, a political diceless Amber game or a serious World of Darkness horror game, if you and your players do not enjoy yourselves then you won’t play again. Different games require different behaviors, playing styles and GMing styles. So, “having fun” isn’t just sitting down and playing a game. You need to attune yourself to your group’s overall wants and desires. So, make sure your game tries to cater to everyone’s preferences to ensure you all have fun. There was a time when I’d throw a wrench into every player’s plan. I’d make sure all group efforts and plans were met with almost overwhelming complications. And every success was tainted with a secret hitch. I’ve learned, as far as my game style goes, and perhaps this suits your group’s style too, that it can be just as rewarding planning things as it is doing them. Planning is like a puzzle. It’s problem solving. It’s a different kind of “encounter” than combat and action. And if you insist your players do their planning in-character, it is a tremendous roleplaying encounter/opportunity too. However, if you reward every good plan with failure then your group will learn planning is useless. They’ll say “it doesn’t matter what we do so let’s just charge”. So, nowadays, if I’m presented with a *good* plan by the group, I’ll often let it succeed without serious complication and with high compensation. If the players have just spent two hours bickering back and forth in-character, tailoring a solid plan, I’m going to let it succeed. To me, that’s equivalent to a two hour combat encounter, or a two hour difficult puzzle encounter. It’s good gaming. Automatic knowledge (i.e. a player asks you if their character knows about “xyz”; you can turn this around into a character development opportunity by saying yes and then asking the player why or how). I’m not advising making everything incredibly easy (and thus boring) for the characters. But, constantly grinding your players down with trivial skill checks, negative reactions from NPCs and always saying “no”, can take the fun out of the game for them. Just like Pavlov and his dog, the actions and behaviors you reward will be re-enforced and (hopefully) repeat themselves. If you reward for action and combat, then you’ll get players who seek out combat and action. If you reward for roleplaying, you’ll get more roleplaying. 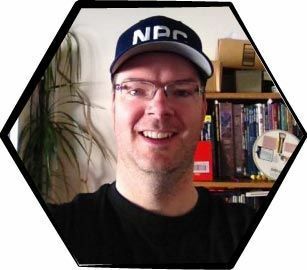 If you have a campaign where you feel there is too much combat and you would prefer more roleplaying, it’s most likely because your players are being well rewarded for shooting first and asking questions later, whether you realize it or not. Game master: Did you have fun? Were you excited and enthusiastic? Enthusiasm is always contagious–thus a form of reward to your players. Other players: Did the players have fun? Dice rolling is like gambling–addictive. A well-timed critical hit causes the whole group to cheer and brings glory to the lucky player. Was there tension and excitement? The peer social reward in combat scenes can be great indeed! For example, the king summons the PCs and asks them to vanquish the evil dragon in exchange for his youngest daughter’s hand in marriage and a whole lot of gold (bet you’ve never heard that plot hook before eh?). Fine. The PCs go out, slay the beast, return, one of them gets hitched and the others become rich as princes. The king summons the PCs and offers them gold and his daughter’s hand in marriage. But first, the king’s aide takes a PC aside and “leaks the story” about the king’s commission before the royal meeting takes place. He says that anyone who could slay a dragon would be powerful indeed. And the current King’s Warden is old and his health is failing. Any hero who could claim to have landed the killing blow on the evil dragon would surely convince the king’s advisors that he would be worthy for that position. A different PC accidentally meets the Princess before the meeting. He learns she seeks a hero worthy of her hand, for only a man of great wisdom and intellect would be deserving of the title “King” which would inevitably be his someday. In this example, making the reward clear was an exercise of creating a specific, customized reward for each PC. You don’t need to do this every time. The main point is to drive your campaign in the direction you want by letting the PCs know what’s in it for them, at all times. The king’s aide informs the PC that the dragon is the only thing from keeping the goblin barbarians to the north from sweeping down into the kingdom’s villages, but the king must take the risk because too many people and sheep are being eaten by the ancient lizard. A hero who could solve both problems would be worthy of the title “King’s Warden”. Be prepared to override your plans for the sake of rewarding for having fun. For example, if the PCs handily defeat your villain way too early in your game, feel free to get upset but don’t take it out on your players. Instead, reward them for their luck/skill and for having fun. Being the game master, you have an unlimited basket of villains to throw at them, so allow them their victory and do not ruin their fun by being vindictive. Players having fun are always in a good mood. Everyone gets along when they’re having fun. It isn’t a struggle assembling your group for each session if they know it’s going to be a fun time. The overall playability of your games will skyrocket if everyone enjoys themselves (i.e. rules lawyers will forgive more transgressions if they’re having fun…). Here’s a personal tips request for you: I receive several emails a week about GMs who have difficulties with players or groups who prefer combat over roleplaying. And these GMs would like to sway their players away from “shoot first, ask questions later” towards more in-character roleplaying. Any tips or ideas? If I get enough responses on this hot topic I’ll share with everyone and either dedicate an issue to the subject or I’ll create a supplemental issue. Thanks! It was the first story for us in a completely new RP system; we had already gone through all that Prelude stuff (the PC’s backgrounds, how they got together etc. ), but still, the game’s world was very unfamiliar to the players. I started them off with a car chase – they were sitting inside a pizza transporter, driving for their lives from quite a lot of black limos. Another advantage to this kind of dramatics is that the players have got an orientation from the beginning – they know where they should get to later on, and they even have a first motivation – finding out what all the stuff in the beginning scene really meant. Another problem might be that your players feel restricted by this kind of storyline, not being able to determine its path themselves… well, in this case, non-linear stories are simply not a good tool in use with your players. The best solution here is to leave it – it’s a great thing, but if your players don’t like it, don’t force them. But remember, just because somebody is not actively involved doesn’t mean he’s not enjoying himself. Most like to do, a few would rather watch. Anybody who isn’t enjoying himself will either let you know, or stop coming to the games. If the player keeps coming, and stays in the background, he’s enjoying your game, he’s just not interested in being the focus of attention.